Thank you for visiting my watercolor. This is a small still life food themed original watercolor. 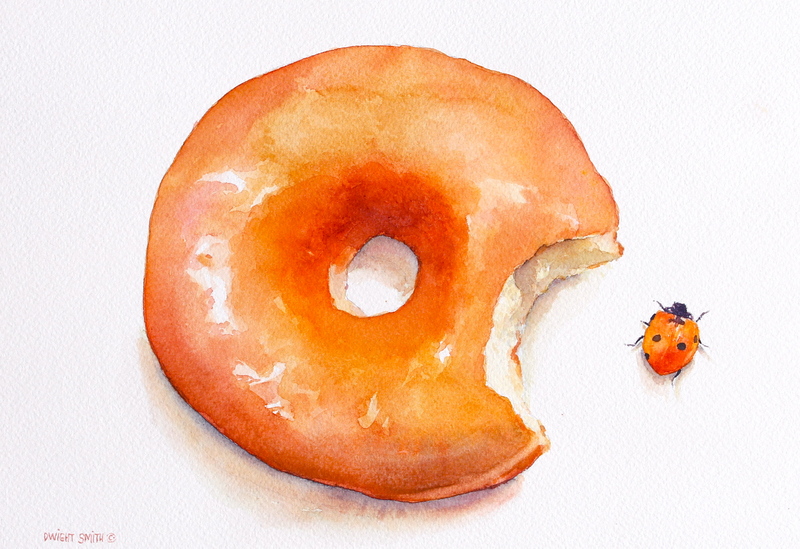 This small ladybug has a sweet tooth for donuts. This original watercolor is painted in the realist tradition.